It’s Just the Luck of the Draw | Do the twisted. “You can’t always get what you want, but if you try sometimes, you might just find, you get what you need.” The Rolling Stones were definitely right about this. Especially if they were referring to the “Luck of the Draw” special at The Cellar Restaurant in Blacksburg, VA. Blacksburg’s “Original Underground Tavern” is a hot spot for the intellectual and artsy crowd in town. I don’t know if I fit in to either of these categories, but I’m having a love affair with the atmosphere, food, and good times I always have there. 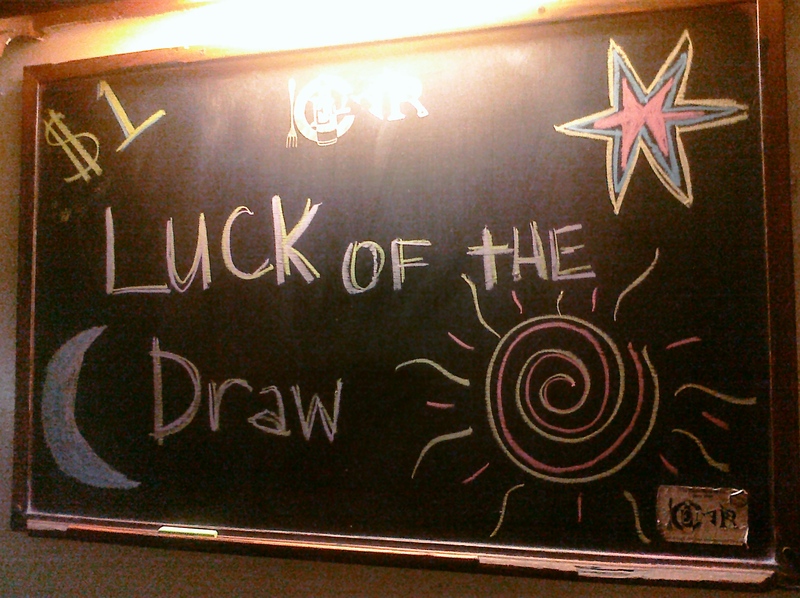 A daily special they feature is called the “Luck of the Draw.” Only have a dollar but still want to drink? Ask the bartender for the “Luck of the Draw” and you’ll get to drink, you just don’t know what. Until it runs out, there is a stash of random beers that the bar sells for only a dollar to those who are daring or just trying to experience new beers. I’ve found a couple that I have enjoyed and a couple that I definitely didn’t. But since there are sober children in third world countries, I man’d up and drank them anyway. One that I’ve discovered that I enjoy is the Lionshead Standard American Lager. 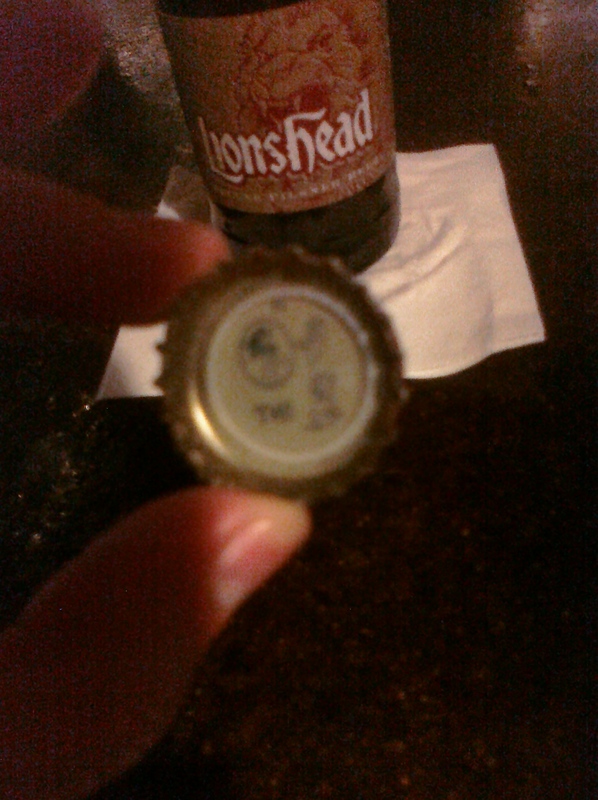 Not only is the taste phenominal (especially for a dollar), but there are fun word puzzles in the cap of the beer. A couple others that I have acquired through the “Luck of the Draw” have been Rogue Ale’s Chocolate Stout (Nastier than finding out your bread has mold on it after eating half your sandwich) and Gordon Biersch’s Hefeweizen (Delicious bang for your buck). Everytime I leave The Cellar with a full stomach of delicious food and a gut-busting amount of brews in the system, I reflect on how The Rolling Stones must have time traveled to the future and wrote a song about their experience at The Cellar. Take a peek at The Cellar here!